Definition at line 179804 of file Cxx_Grammar.h. Returns the defining declaration if get_typedefBaseTypeContainsDefiningDeclaration() is true, otherwise NULL. Also same as get_declaration(). This function generates the qualified name prefix to be used with the base type of the typedef declaration. This is the name of the newly defined type. This is the type being given a new name by the typedef declaration. This flag indicates that the typedef defines a structure. 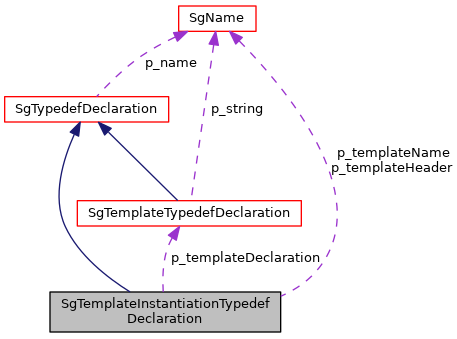 This is the scope of the typedef declaration.